Everybody can be a queen or a king! Channeling your inner royalty is the best thing you can do for yourself. 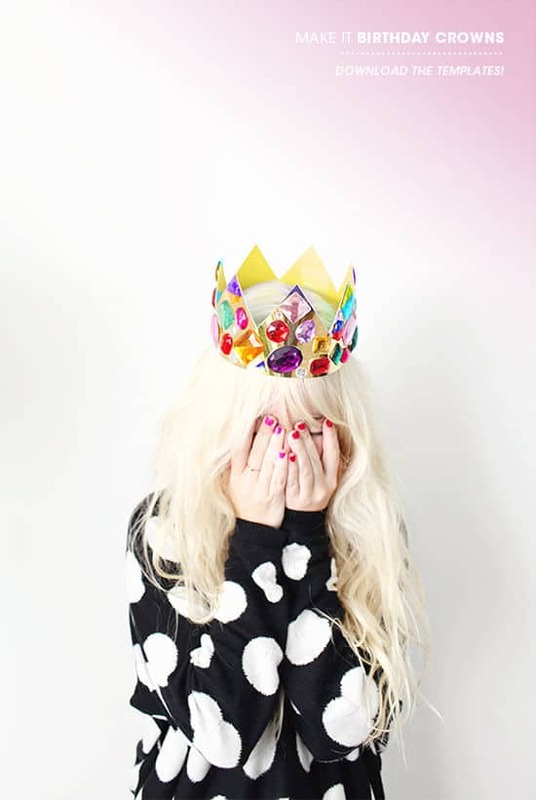 Who says you can’t wear a crown while you’re grabbing your morning coffee? Doing laundry? Watching Netflix? Having a party? 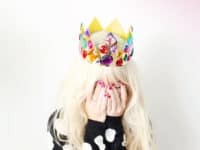 You wear that crown like a magnificent queen-or-king that you are and don’t let anybody tell you otherwise! 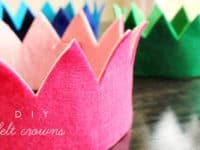 Today we’re sharing some of our favorite DIY Crowns with you (while wearing one as this is being written – no joke!) and we hope you’ll enjoy them! You know it means glamour when it sparkles; it’s like an unwritten rule. 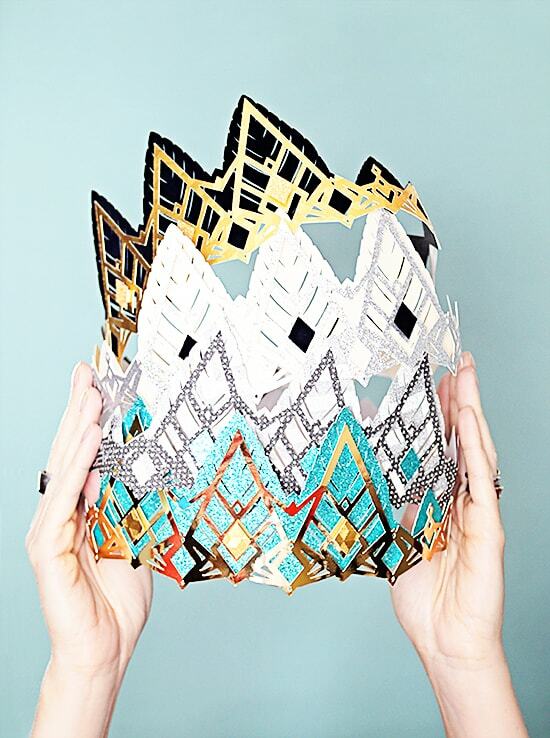 This sparkly crown by Emilie Lefler is a total eye-catcher! 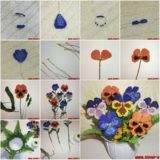 With its color and sparkly effect, you surely won’t go unnoticed! 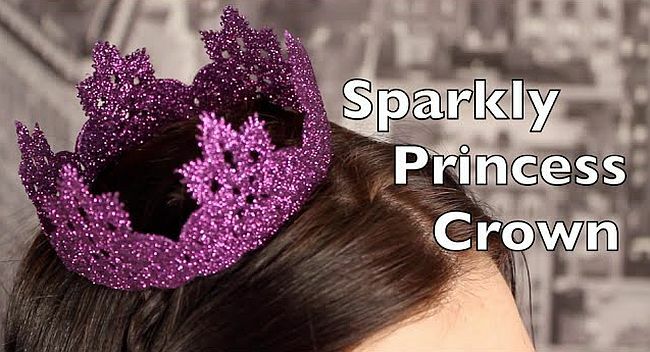 And because it’s a smaller crown, you don’t have to worry about it messing up your hairstyle! 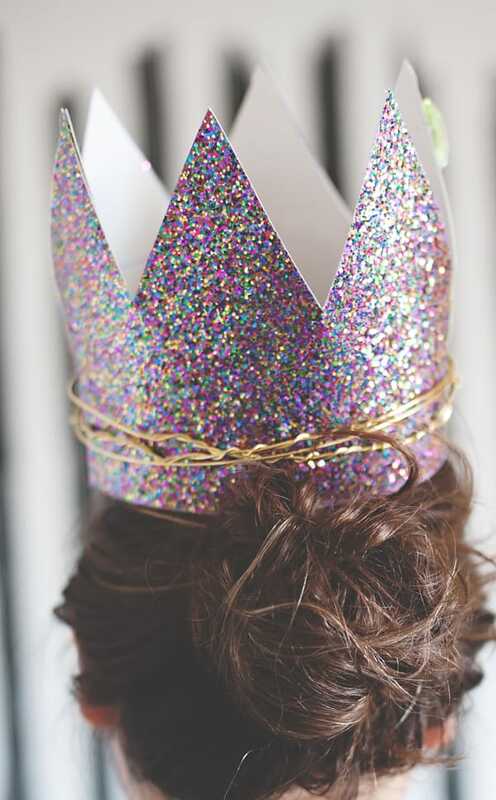 A crown full of gemstones for a gem like yourself! 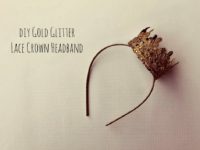 This one will be a hit at any party, but you should especially wear it on your birthday and celebrate yourself! 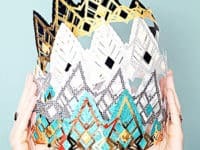 Get the instructions at Design Love Fest and don’t hold back on making this crown the most vibrant one yet! Headbands, always the saviors. 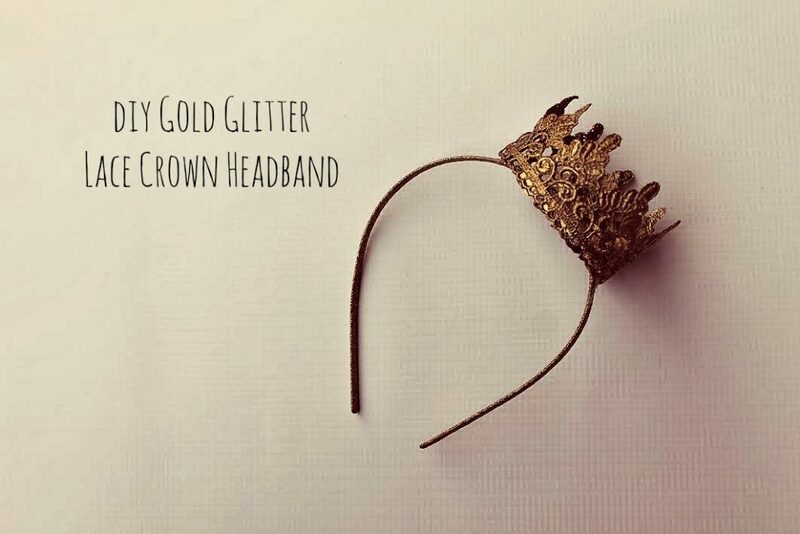 This headband crown is absolutely perfect if you don’t want to deal with the possibility of your crown falling off. (We’re talking to you, avid dancers!). 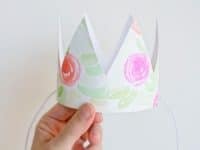 Being MVP will show you how to make this cute crown that you just won’t want to take off! 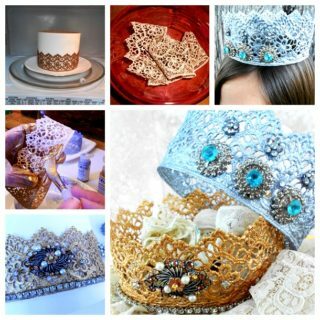 With these lace crowns we found at Beau Coup you have endless possibilities! 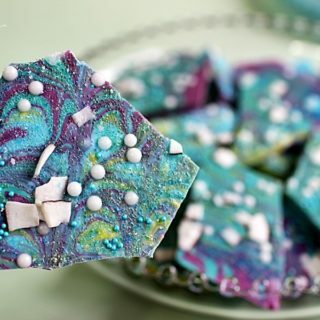 They will satisfy just about any taste! 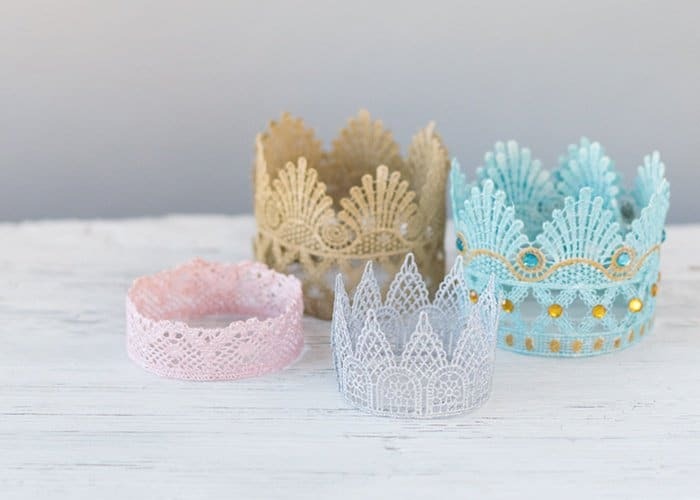 If you want a big crown or a smaller one, a bright one or a more traditionally-colored one … they’ve got you covered! 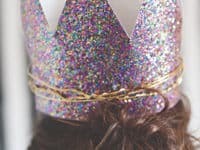 Dream up your favorite crown, then get to work! 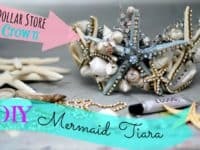 If you are a mermaid stuck on dry land, let us help you with this mermaid tiara that will make you feel a little closer to the ocean home! 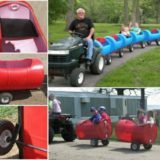 You will have an abundance of fun putting this one together and even more fun wearing it around! 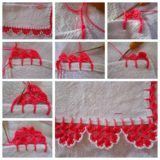 Check out Debi’s Design Diary great video tutorial! Sometimes you just want something simple. Oh Happy Day gets that! 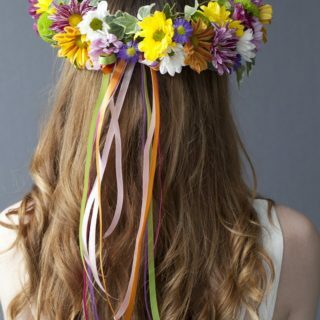 Here’s a lovely watercolor crown that is so minimalistic and just as special as any other! 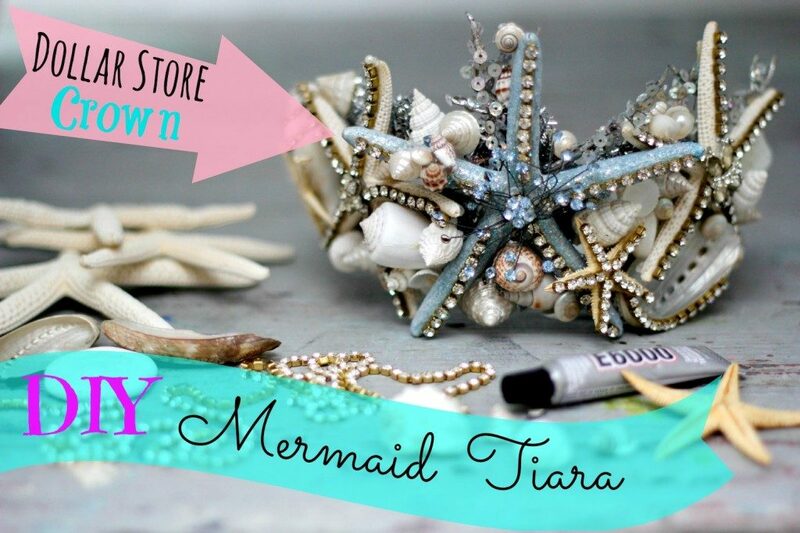 Little girls dreaming about being princesses will be totally captivated by it! 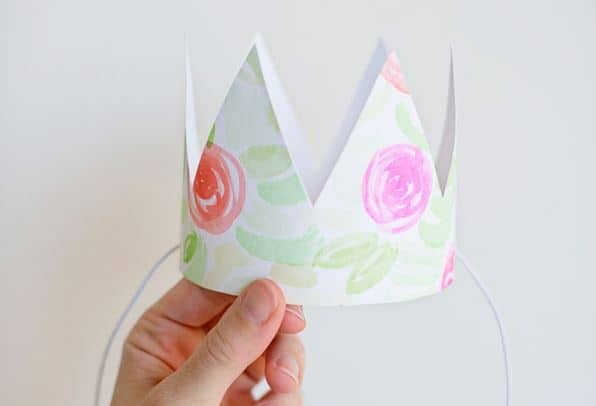 If you don’t trust paper crowns, go with a more sustainable option that are felt crowns! 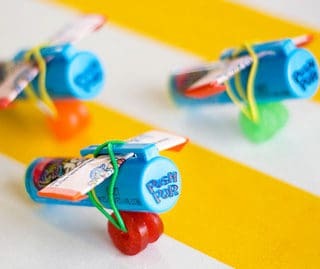 You’ll never get tired of these! 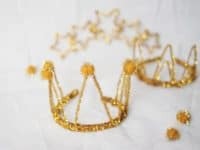 They can also be an amazing gift for somebody who yearns to be a king or queen – that’s right, don’t forget about the boys in your life who want to be kings! 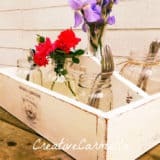 Find out more at Hello Bee! 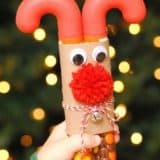 Pipe cleaners are always such a handy crafting material. 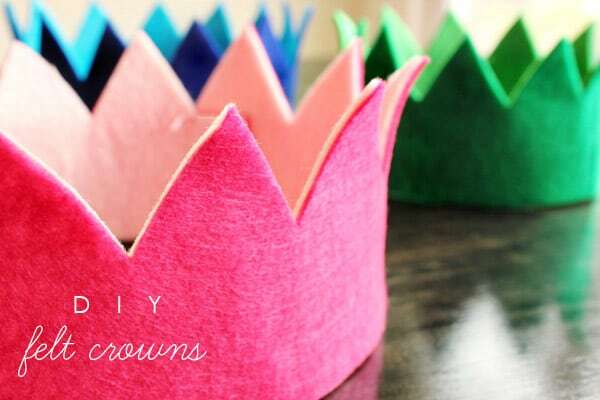 As it turns out, they can be made into some pretty awesome crowns! 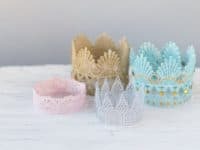 Visit Kelli Murray to see how you can make pipe cleaner party crowns that look like the real deal! Winter is coming. 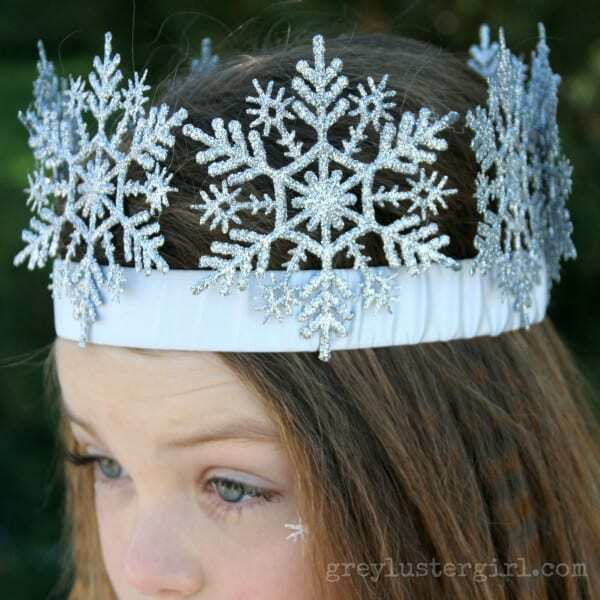 Welcome it like a true ice queen – with a crown made out of snowflakes! 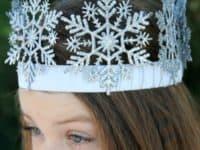 This is a great seasonal craft that will help you transition from autumn to winter in royal style! 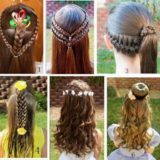 We found this incredible idea at Grey Luster Girl and hope you’ll give it a shot! Surely you are the queen of everybody’s heart. Don’t hesitate to show it off with this wire heart crown that will make a great addition to your existing wire jewelry collection! 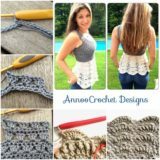 Head over to Make and Tell and see how you’ll be spending your afternoon! 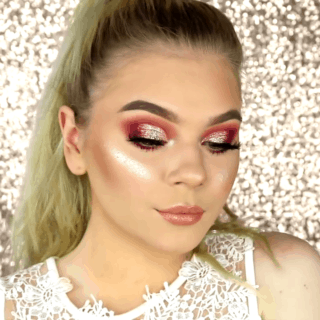 Will we ever get tired of glitter? The answer is no. It makes everything look so alive! 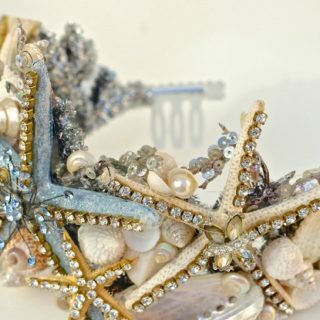 This project by A Subtle Revelry combines glitter with wire and let us just say, the end result is stunning! 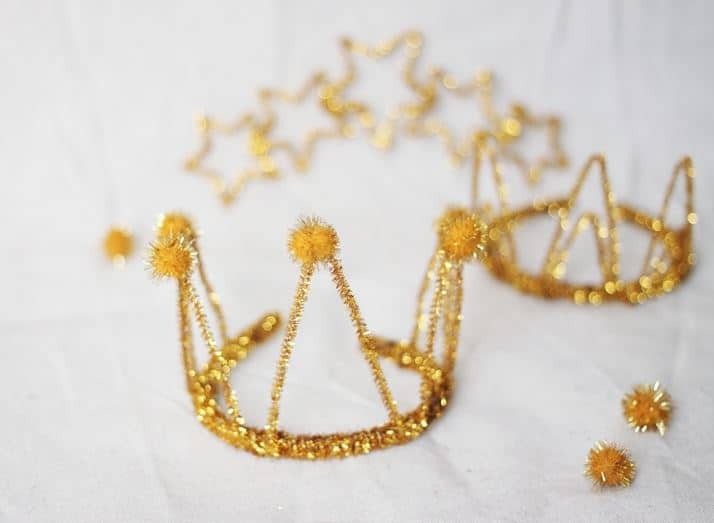 With this crown, your royal game will be on point! 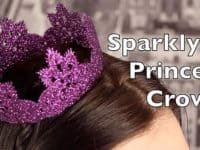 The metallic trend isn’t lost on tiaras either! 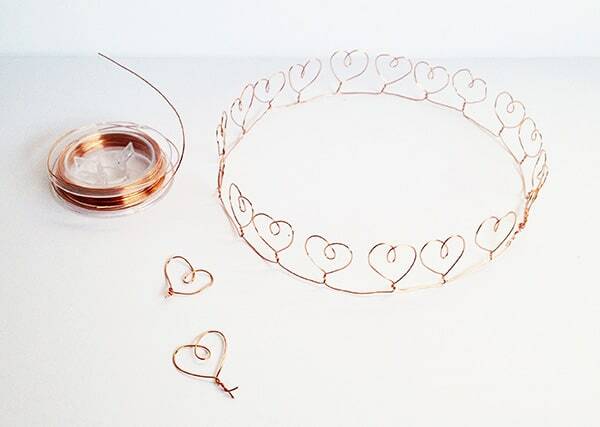 These metallic tiaras are an amazing way to combine elegance with youthfulness! They are as glamorous as they are trendy and as royal as they are freaky! Sometimes it’s okay to get the best of both worlds, you know? 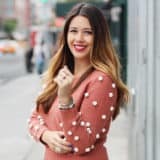 Don’t miss the how-to at Small For Big! May your reign be long and fair! 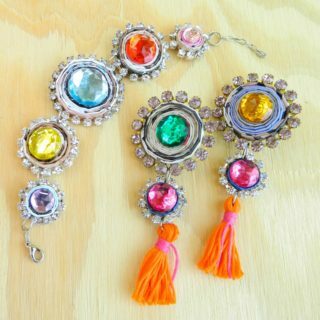 Beautiful Bohemian Jewelry to Treasure!